Click on the Event for more Information! 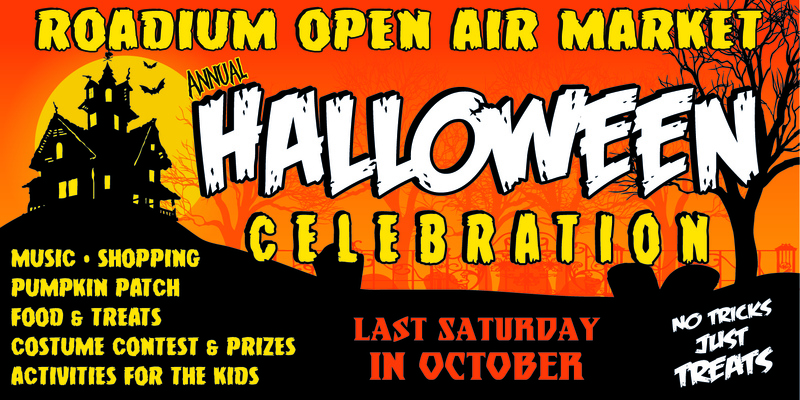 Enjoy the Halloween Celebration at the Roadium! We will be having a Pumpkin Patch, Games, Costume Contest, Music, Photo Booth and Family Fun! It all starts at 10:00am and is included in your cost of admission! Park at El Camino College and take the FREE Bus Shuttle to the Roadium. Hope to see you at the Roadium! A great place for Family Fun!